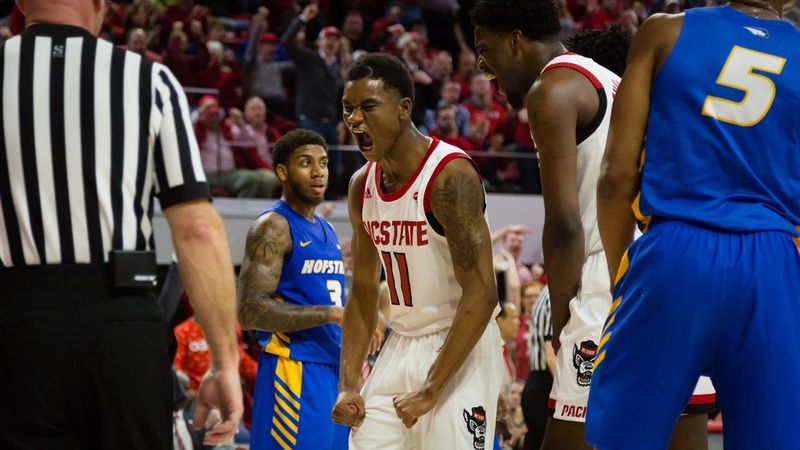 RALEIGH, N.C. - NC State men's basketball junior guard Markell Johnson will submit his name for consideration in the 2019 NBA Draft. He will go through the evaluation process while retaining his NCAA eligibility for a potential return to NC State. "I fully support Markell going through this evaluation process and gathering additional information," said NC State head coach Kevin Keatts. "Given the rules and options available to him, Markell is taking advantage of resources to ultimately make the most informed decision." Johnson finished second on NC State in scoring in 2018-19, averaging 12.6 points per game while also leading the Wolfpack with 4.2 assists per contest. The Cleveland native hit 42.2 percent on three-point accuracy for the season and was second on the squad with 68 three-pointers made. Johnson scored a career-high 27 in the Wolfpack's win over eventual Final Four squad Auburn, hitting 9-of-15 shots from the floor while making 5-of-8 three-pointers. He delivered a season-high 10 assists in the Wolfpack's lone matchup with Duke this season at Cameron Indoor Stadium. He had six 20-point games on the year. Over the past three seasons Johnson has played in 89 games with 57 starts. Under current rules, student-athletes may declare for the draft without losing eligibility, provided they withdraw by the deadline on May 29.